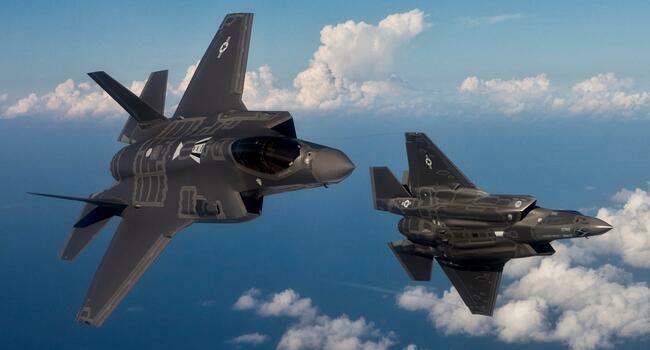 Ankara said on July 24 it was not expecting any problems with the delivery of the F-35 fighter jets despite a recent U.S. Senate decision to block the sales of the advanced aircraft to Turkey. “Following the bill’s passing [in the U.S. Senate], this issue, as you know, is completely at the disposal of U.S. President [Donald Trump]. During our meeting in Brussels, Mr. Trump has also shown us the written statement he made. Such an issue [the banning of the delivery of F-35 jets] is out of question,” President Recep Tayyip Erdoğan said when asked by reporters, referring to his meeting with Trump on July 11 during a NATO summit in the Belgian capital of Brussels. The Turkish president spoke to reporters following a ruling Justice and Development Party (AKP) group meeting in parliament. “We have made a $900 million payment so far [for the sale of the F-35 jets]. And the delivery of two of them was made to us there [at the defense contractor Lockheed Martin’s headquarters in Fort Worth in Texas]. And our pilots are now conducting their training flights [in Luke Air Force Base in Arizona]. We do not have any concerns at this point,” Erdoğan noted. Erdoğan’s statements came after U.S. Senate and House negotiators reached an agreement on July 23 on a defense policy bill that includes a number of provisions including barring the transfer of F-35 jets to Turkey temporarily. If Turkey is dropped from the international F-35 program, the Turkish receipt of the fighter jets would be held back until the Pentagon submits an assessment within 90 days of the measure’s enactment on U.S.-Turkish relations, the impact of Turkey’s planned acquisition of Russia’s advanced S-400 missile defense system and the ramifications for the U.S. industrial base. The deal on the fiscal year 2019 National Defense Authorization Act was announced by the leaders of the U.S. Senate and House of Representatives Armed Services Committee. It must still be passed by the House and Senate and signed by Trump to become law. The legislation would authorize spending $7.6 billion for 77 F-35 Joint Strike Fighter jets, made by Lockheed Martin Corp. But it would prohibit delivery of the advanced aircraft to Turkey.